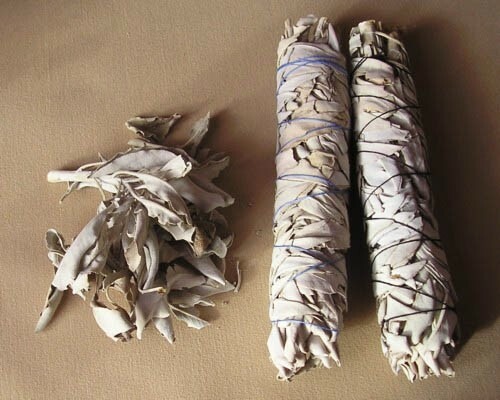 White Sage is one of the most sacred herbs among indigenious North American peoples. White Sage is thought to bring strength, wisdom and clarity to the mind. Salvia apiana is used to expel evil spirits and negative vibrations from auras, home and environment. Sage has been used to ensure immortality. It is carried to promote wisdom. Some believe if you desire a wish to come true, write it on a sage leaf and hide it beneath your pillow. For three nights sleep upon it. If once you dream of what you desire your wish will be materialized. If not, bury the sage in the ground.